OneRoof Energy Partners with Roof Contractor of the Year, Chandler's Roofing Inc.
OneRoof Energy, the nation’s first residential solar company that works directly with roofers to sell and install its rooftop systems, announces a new partnership with Chandler’s Roofing, Inc., a full-service residential roofing company servicing Southern California. The new partnership provides options and financing for Chandler’s customers who want to install solar rooftop systems. Chandler’s Roofing’s Los Angeles and Orange County customers now have the option to integrate aesthetically pleasing solar rooftop systems through OneRoof Energy’s SolarSelect® Lease. The lease gives customers flexible, affordable options for incorporating sustainable energy into their home while also avoiding high maintenance and installation costs. Homeowners can reduce their monthly lease payments with a large down payment, or put little to nothing down and choose to pay higher monthly fees. The monthly fee combined with the new lower utility bill is less than the fee homeowners traditionally pay without solar.  Chandler’s Roofing, Inc. partnered with OneRoof Energy because of the company’s strong financial stability, reliable customer warranty and affordable options. Installations of OneRoof Energy’s solar power systems are available for retrofit and new roofs.